WASHINGTON — The United States has “moved beyond” the debate over whether it’s time to improve relations with Cuba. With diplomatic ties already a fact of life, the urgency now is deepening that relationship through economic and cultural exchange — and ending the trade embargo that has defined U.S. policy toward the island for the last 55 years. So says José Ramón Cabañas, Havana’s man in Washington since 2012. For most of that time, Cabañas was chief of the Cuban Interests Section, officially an annex of the Swiss Embassy. But on Sept. 17, 2015, Cabañas presented his credentials to President Obama as Cuba’s first full-fledged ambassador to the United States in more than half a century, following the restoration of those ties nine months earlier. “It’s no secret that most Americans support a better relationship with Cuba. 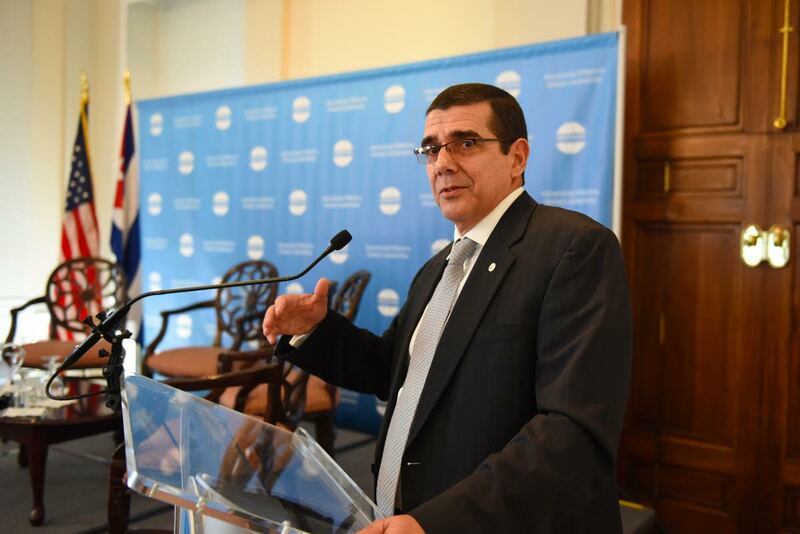 It’s the same thing from our end,” said Cabañas, addressing the Meridian International Center’s half-day Cuba Cultural Diplomacy Forum. His June 9 speech came less than a month after Carnival’s 704-passenger Adonis became the first U.S. cruise ship in 50 years to sail from Miami to Havana, and one day before the federal Department of Transportation cleared half a dozen U.S. airlines — including American, Frontier, JetBlue and Southwest — for takeoff to nine Cuban destinations. Cabañas was the first of 26 speakers at the Cuba Cultural Diplomacy Forum; others included Ben Rhodes, Obama’s deputy national security advisor for strategic communications; Peter Schechter, director of the Atlantic Council’s Adrienne Arsht Latin America Center; former U.S. Commerce Secretary Carlos M. Gutiérrez, and Ambassador Vicki Huddleston, who headed the U.S. mission in Havana from 1999 to 2002. 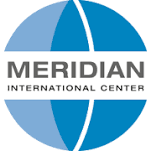 The fact that Meridian’s Cuba event — underwritten by banker Adrienne Arsht and agribusiness giant Caterpillar — attracted a standing-room only crowd underscores the intense interest in an island that has fascinated Americans for decades. About 161,000 U.S. citizens of non-Cuban origin traveled to the island in 2015, and arrivals in the first half of 2016 are already up 94 percent, said Cabañas. That follows a significant relaxation of U.S. regulations that for years made it next to impossible for average Americans to visit this tropical paradise only 90 miles from Florida’s shores. At the moment, said Cabañas, the U.S. and Cuban governments are negotiating agreements on 18 subjects ranging from law enforcement to marine conservation. “We have signed nine memoranda of understanding on specific areas like civil aviation that we have to implement,” he said, noting the nonstop flurry of Cuban officials streaming to Washington ever since the Cuban flag went up over the country’s mission on Sixteenth Street NW last July for the first time since 1954. Since then, a number of state and municipal officials have brought delegations to Cuba, looking to expand trade and investment opportunities. While it’s easier than ever to visit the island these days, the trade embargo itself is still very much in place — and because of the 1996 Helms-Burton Act, only Congress can revoke those sanctions. And while Democrats and Republicans may not agree on much this presidential election season, one thing both sides seem to support is an end to anti-Cuba sanctions that have accomplished virtually nothing in the past 55 years, except maybe to shut out U.S. companies from a potential market of 11 million consumers. Cabañas said that as chief of the Cuban Interests Section and now the Cuban Embassy, he’s had the chance to visit many cities across the United States, including South Florida — home to a thriving community of more than a million Cuban exiles. “I can tell you that young people have a lot of expectations, and they don’t care about the embargo,” he said, urging Congress to “support the end of sanctions” against his country that have caused untold suffering and cost the Cuban economy billions of dollars since its inception in 1962.